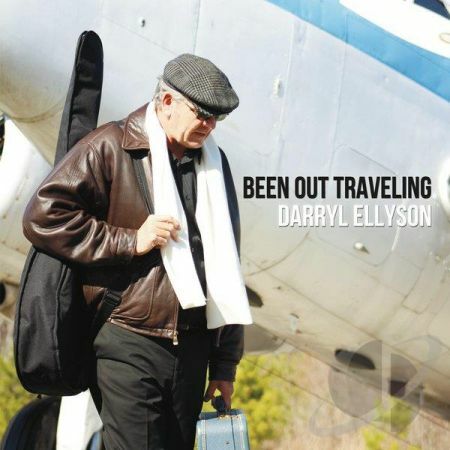 Been Out Traveling is only the second release from VA-based singer, songwriter and guitarist, Darryl Ellyson, but it is a highly impressive slab of contemporary and soulful blues-rock. 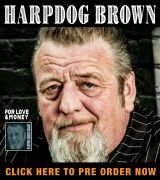 Ellyson himself has been around the block a few times, and that maturity is reflected in his warm, lived-in baritone voice. Equally impressive on ballads such as “Everything I Do” through to the full-throated blues-rock of the title track, he is ably supported by an outstanding cast of musicians, including Velpo Robertson and Janet Martin on guitars (in addition Ellyson himself), Rusty Farmer on bass, Kip Williams on drums, Kevin Simpson on saxophone and Jerel Lewis and Carlos Chafin on keyboards. In addition, as on Ellyson’s debut album, Bill Roberts contributes guitars, bass, drums, keyboards and backing vocals. Ellyson wrote all ten songs on Been Out Traveling, covering the gamut from rock and pop through to soul and and R’n’B, albeit all with a material blues flavour. This isn’t a blues album by any stretch of the imagination, but it is a collection of songs all of which have the blues as fundamental element of their make-up. The title track, based on the traditional “Rollin’ And Tumblin’” structure, opens the album and rocks with ferocious attitude and some vicious slide guitar, before leading into the soul-blues rumba of “Lovin’ You” with its 60s-drenched, chanted vocal hook, jungle drums and a lovely organ solo. Indeed, several of Ellyson’s songs reflect a 1960s influence, from the Southern, Lonnie Mack-esque piano ballad, “Lost In Your Love” to the circular riff-based rock of “Pushin’ Against My Heart” and the minor-key slide of “The Sweet Times”. This is not intended as a criticism. With its emphasis on well-written and well-played songs with memorable melodies and catchy choruses, Been Out Traveling recalls the best of that decade. Just try listening to the wonderfully joyful “Ain’t Gonna Let You Go” without tapping your foot and smiling. It’s a song that Delbert McClinton would be happy to have written (and hats off to Simpson for his sax playing on this track). Each song has something sharp and smart hidden under a deceptively (and misleadingly) simple exterior. The funky “Baby’s Love” has a middle 8 breakdown that enables Ellyson to bring each instrument back in individually. The SRV-esque shuffle of “I’m Gone” unexpectedly inverts the chords at the end of each verse. And the rock guitar riff of “Won’t Include You” is nicely re-balanced by the funky groove of the rhythm section up to and including the organ solo, before the guitar solo drags the song back into rock territory. 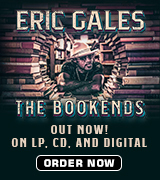 It has hints of Robert Cray’s rockier moments and is a great final track for the album. Ellyson produced the album himself, with engineering by Chafin and Roberts, and they have captured a warm, live feeling on all the tracks. A minor criticism might be that it is unclear from the credits on the CD sleeve which musicians play on which specific tracks, but that is really nit-picking. Been Out Traveling is a superb release and one well worth checking out if your tastes lean towards contemporary soul-infused blues-rock.